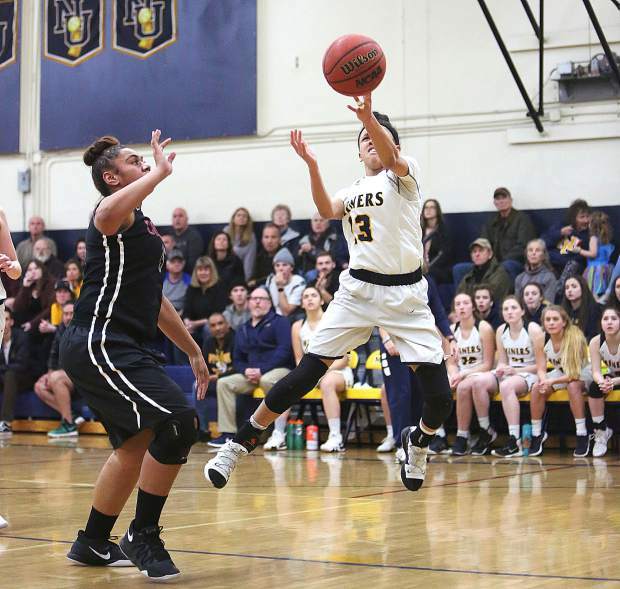 Nevada Union's Meadow Aragon (5) puts up two of her 26 points during Tuesday's playoff win over the Cordova Lady Lancers. 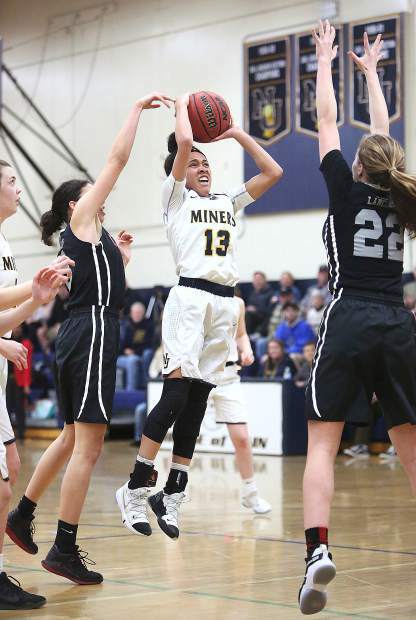 Nevada Union sophomore Aijah King (13) attacks the basket for two of her 13 points during a first round playoff win Tuesday. King also grabbed seven rebounds and doled out four assists. 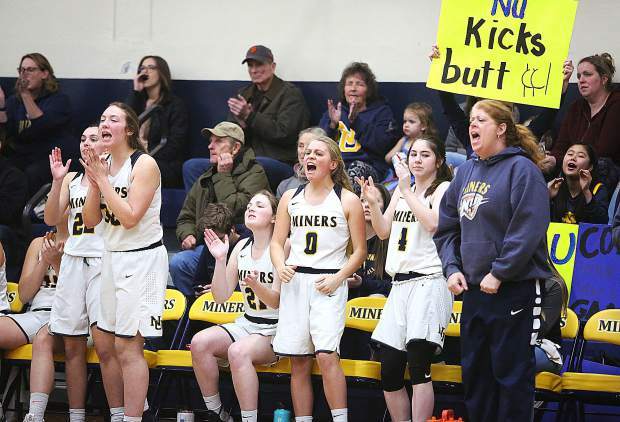 The Nevada Union Lady Miners sideline and fans erupt after their team makes a play on the court during Tuesday night's 62-47 win over the Cordova Lady Lancers. 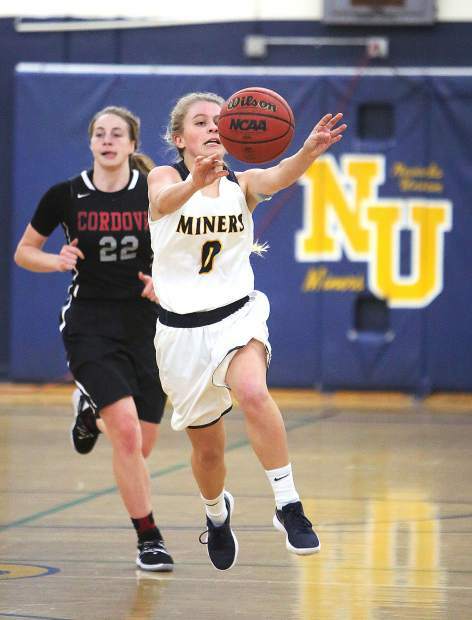 Nevada Union's Reese Wheeler (0) vies for possession of a loose ball during Tuesday's Sac-Joaquin Section D-III first round playoff win over the Cordova Lady Lancers. Nevada Union junior Emerson Dunbar (20) goes up for a shot during Tuesday's playoff win over visiting Cordova. Dunbar scored 12 points, and came away with 10 rebounds in the win. 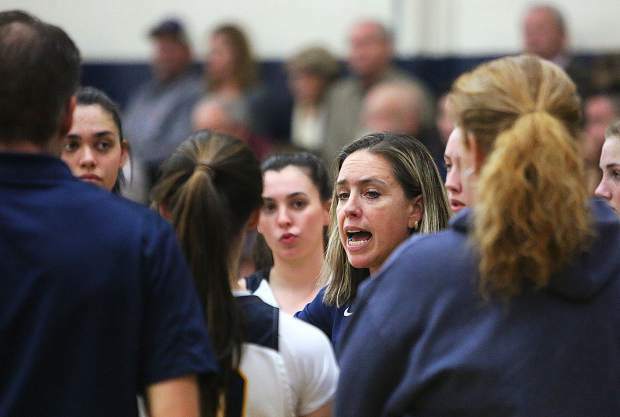 Nevada Union Lady Miners head coach Jenn Krill gives some pointers to the team during a timeout on the sideline of Tuesday's first round playoff win over the Cordova Lady Lancers. Nevada Union sophomore Aijah King (13) attacks the basket in the face of the Lady Lancer defense during Tuesday's first round playoff win. King scored 13 points, grabbed seven rebounds and doled out four assists. 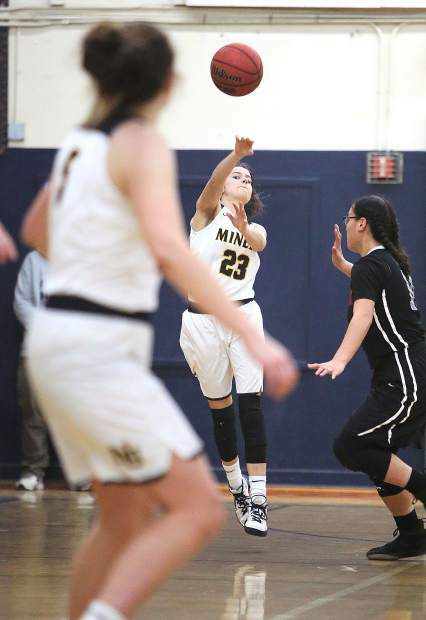 Nevada Union's Leah Ellis (23) makes a strong pass down the court to an open teammate. Bear River's Sarah Aanenson drives to the basket during the Lady Bruins playoff loss to Colfax Tuesday. Bear River's Gabi Correlejo runs the Lady Bruins' offense during a playoff loss to Colfax Tuesday. Bear River's Macey Borchert drives to the basket during the Lady Bruins playoff loss to Colfax Tuesday. 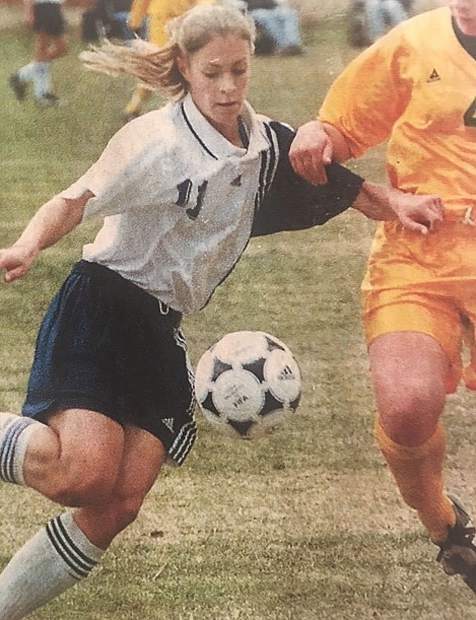 For the first time in a long time the Lady Miners were in the ‘House of Pain’ for a playoff game — and it was just like old times. 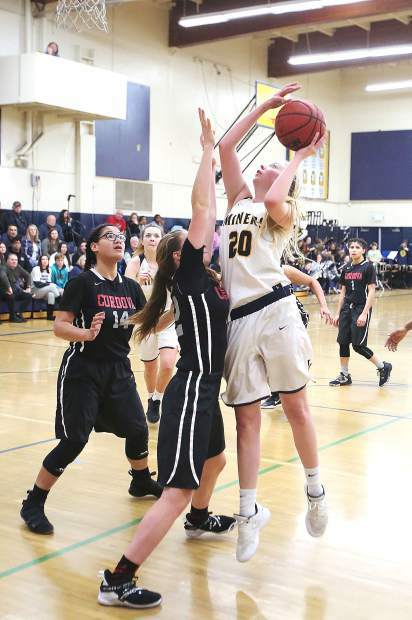 In a gym known for its winning history and capacity for noise, the Nevada Union girls basketball team won a physical and fast-paced bout, 62-47, over Cordova in the first round of the Sac-Joaquin Section Division III playoffs Tuesday night. In their first home playoff game under Krill, the No. 5 seed Lady Miners gave the raucous home crowd plenty to cheer about. 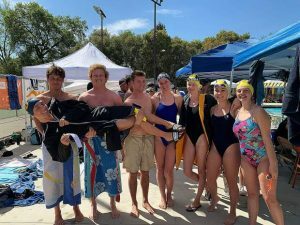 The Lady Miners (19-10) were able to slice through the No. 12 Lady Lancers’ full court press early on, and raced out to a 19-4 first quarter advantage. It was a game of runs, though, and Cordova (19-8) came charging back in the second quarter, pulling to within four at 26-22. Nevada Union grabbed the momentum back at the end of the quarter, getting points from Meadow Aragon, Emerson Dunbar and Reese Werner to close the half on a 6-0 run for a 32-22 lead. Aragon, a senior forward, led the Lady Miners all game, scoring a game-high 26 points despite drawing multiple defenders on most possessions. “I just needed to keep my mental game there and keep going after every ball,” said Aragon, who also pulled down a game-high 17 rebounds and tallied two blocks. Krill applauded Aragon’s effort throughout the very physical game. The Lady Miners endured another Cordova run in the third quarter as the Lady Lancers pulled to within three at 37-34, but responded with points by Aragon, Dunbar and Aijah King to close the quarter on a 12-2 run. King was impressive on both sides of the court, running NU’s offense with poise and causing havoc on defense. The sophomore guard finished with 13 points, seven rebounds and four assists. Dunbar was also strong throughout, netting 12 points, 10 rebounds and three blocks. 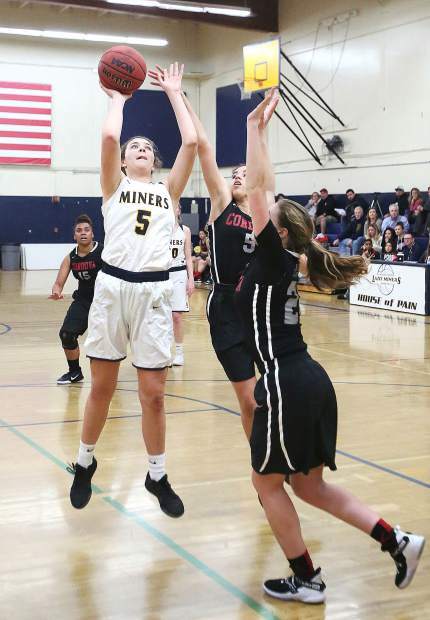 Cordova pulled to within 10 midway through the fourth quarter, but never got any closer as the Lady Miners extended their lead to 15 down the stretch. Chipping in points for NU was Zucca with five in the first quarter, Molly Burton with four points and Werner with two. Leading the way for Cordova was Eva Graf and Emika Love with 12 points each. The Lady Miners will hit the road for the second round, traveling to face the No. 4 seed Manteca Buffaloes at 7 p.m. today. The Buffaloes (20-8) are the No. 4 seed after going 20-8 overall and earning a share of the Valley Oak League championship. Manteca topped No. 13 seed El Capitan, 66-39, in the first round. The Lady Bruins’ run through the playoffs was a short but eventful one. As the No. 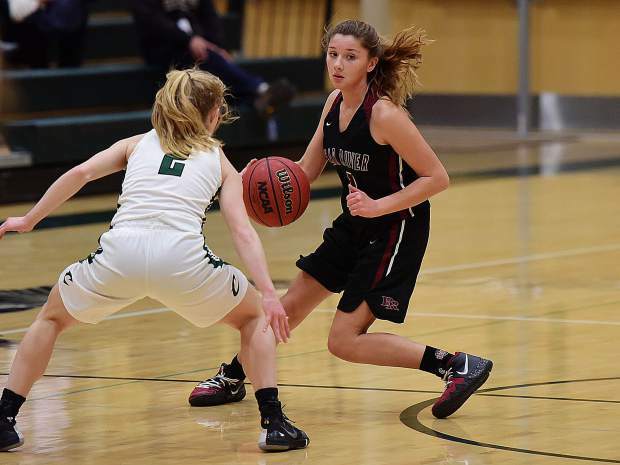 16 seed in the D-IV playoff bracket, Bear River’s girls basketball team faced off No. 17 Natomas on Monday in a play-in playoff game with the winner getting the prize of playing No. 1 seed Colfax (25-3) the very next day. With big games from Sarah Aanenson (22 points) and Jordan Foster (20 points) as well as strong team play down the stretch, the Lady Bruins earned that prize with a 61-57 victory over the Nighthawks. 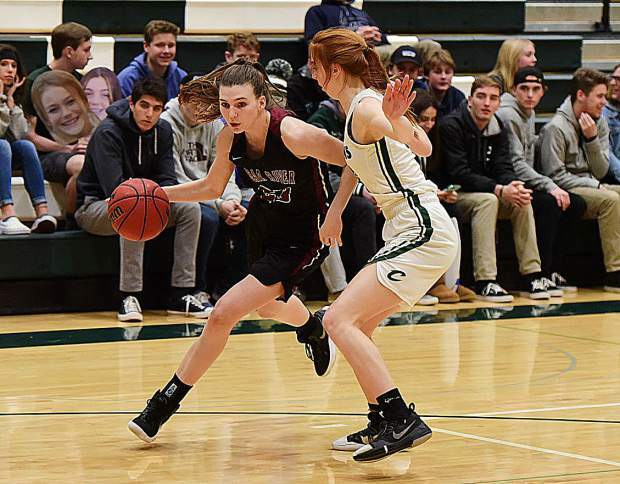 “I couldn’t be prouder of them, and of the effort that they had in the fourth quarter,” said Bear River head coach Randy Billingsley after Monday’s win. 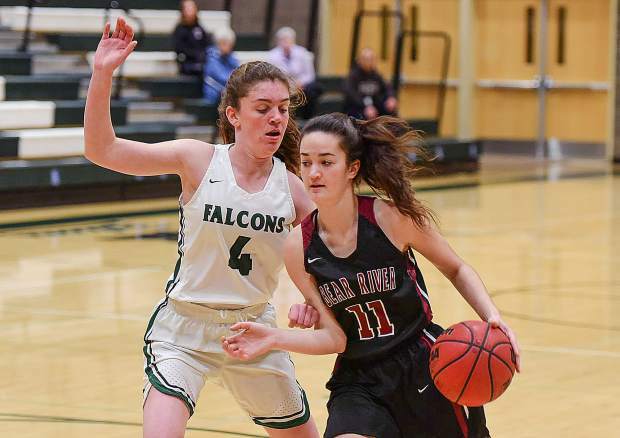 But, on a short turn around, Bear River was no match for the Pioneer Valley League champion Lady Falcons and fell, 77-18, Tuesday night. The loss concludes a season in which the Lady Bruins went 16-13 overall and finished third in the PVL with a mark of 6-4. Colfax will now host No. 8 seed Dixon in the second round at 7 p.m. today.